Do I need a Casket, a Container, a Coffin…? 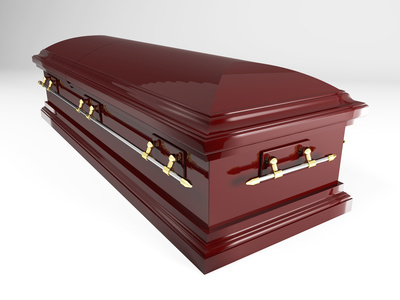 Have you asked the question – do I need a casket, a container or a coffin? Did you know that when an individual wants to be cremated, buried or entombed, by law the body must be in a casket or container? A coffin is rarely used in Ontario and differs from a casket. A coffin is 8 sided and usually made of wood (see right). It is more common to see coffins used in Europe rather than Canada. For earth burial many people are familiar with the casket (pictured above) being lowered into the ground. 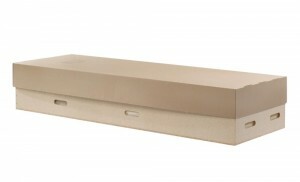 A casket is a 6 sided container made of particle wood with a felt cloth covering, a mix of particle wood and solid woods, soft woods, hard woods or metal. The range in price of a casket can vary widely from $500.00 to over $10,000.00. The price of the casket will vary depending on the materials used in the casket, the type of lining, adornments, and type of finish. According to the Board of Funeral Services Ontario Funeral Sector Quick Facts 2014*, the average casket purchase price in Ontario was $1,875.00. 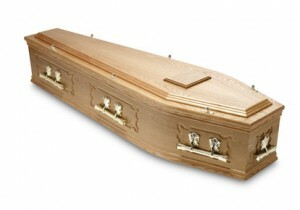 Caskets are also required if the deceased wishes to be entombed in a mausoleum. In this scenario the cemetery operator will use a lift to raise the casket up to the level of the mausoleum space and transfer the casket in to the opening. Then cemetery operators close off the space and replaces the front covering. If a person wishes to be cremated there are two general categories of merchandise available. If the individual wants to be viewed prior to cremation, then most people select a cremation casket. This is also known as a rental casket. The look of having a regular casket for the visiting and the utility of an inner cremation insert appeals value wise to many people. The outer shell is usually a hardwood casket, and the inner cremation insert is particle wood. After the visiting and services the foot panel of the cremation casket is unhooked, the cremation insert is removed. The lid is put onto the cremation container insert and then the deceased is transferred to the crematorium. 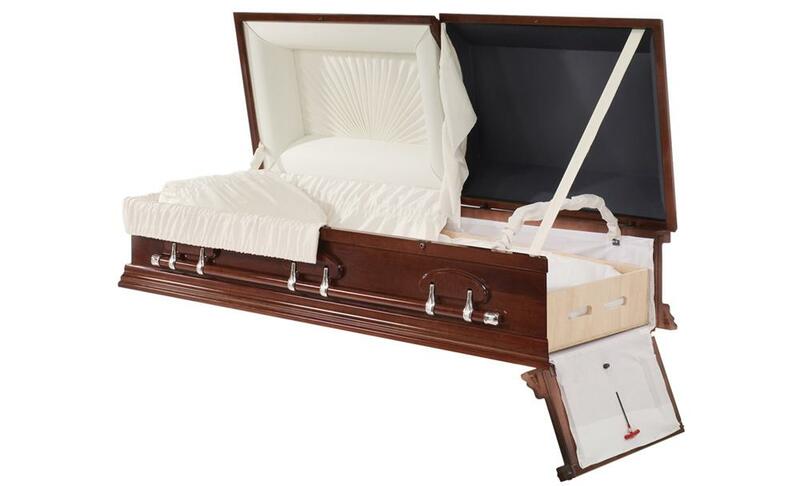 Cremation or rental casket outer shells are most commonly available as solid oak or maple. If there is no visiting or services prior to cremation then most people select what is called a cremation container. This is a plain particle board box, without a fabric lining or pillow. If the individual weighs more than 250 pounds then an alternative cremation container will need to be used. Many people ask me why they need a container for cremation. In compliance with the Funeral, Burial and Cremation Services Act, if the deceased is to be cremated the body must be in a rigid, solid bottom combustible container. This requirement also makes it much easier to transfer the deceased from the funeral home to the crematorium. According to the Board of Funeral Services Ontario Funeral Sector Quick Facts 2014*, the average container purchase price in Ontario last year was $336.00. Whether you are thinking of being buried or cremated, the time is now to select and pay for the merchandise that will eventually be needed. 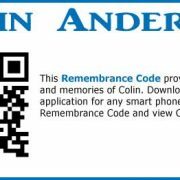 If you live in Ontario and prepay your funeral the financial advantages are tremendous. In Ontario the funeral home must guarantee the future cost of the merchandise selected, when this merchandise is paid for in full. All of my clients share with me the relief they feel, knowing that they have preplanned and prepaid their eventual funeral arrangements. That they have done the best job possible for all eternity is a loving gift to their family. Still confused with all the options? I am here to help. I welcome your questions and feedback. You can connect with me via email or telephone, leave a comment here on the site or click the contact tab at the bottom of the screen if you are reading this post on the website. Don’t forget to join in the conversation on Facebook and Twitter too! *Figures for 2015 have yet to be released. http://legacymatters.ca/wp-content/uploads/2016/05/Website-Header-1-300x100.png 0 0 Kat http://legacymatters.ca/wp-content/uploads/2016/05/Website-Header-1-300x100.png Kat2015-12-02 15:34:312016-02-22 10:40:21Do I need a Casket, a Container, a Coffin...?